ZeroTwentyThree is selling his WHFB Marienburg (Empire) army. While this is undoubtedly a great tragedy for him, it should be a great opportunity for someone else [or rather two chances, since he is selling humans in one lot, and weirdos in another]. Here is a d100 table of Demeanor as part of the d1000 inquisitor attributes project. Go back and read that post if you want to know what this is about. Just Psyker and Stats left to go for this project, and then I will have the grand summation post, and create a page to help people find all of this "content". 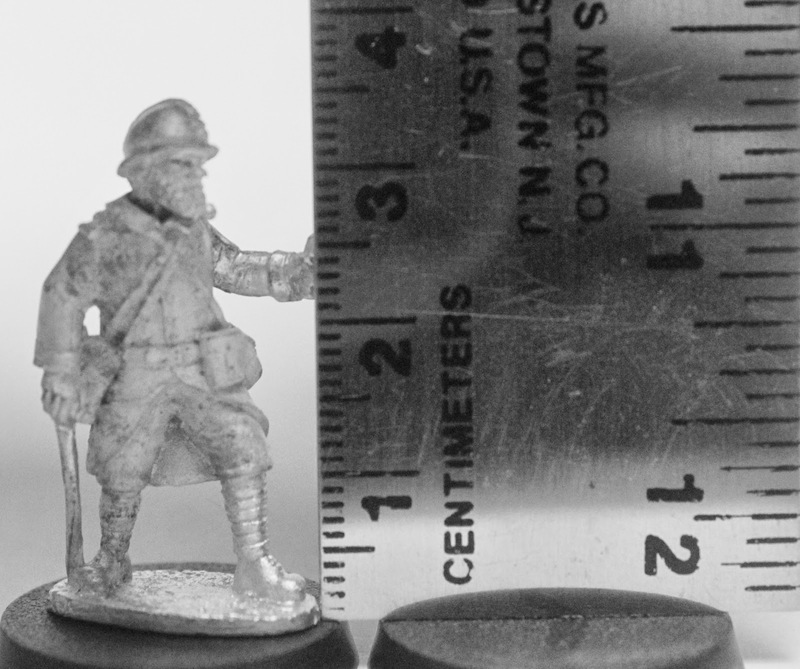 Way back at the end of 2013, I saw a notice on Wargame News and Terrain, which indicated that a company I had never heard of was offering a sample figure. 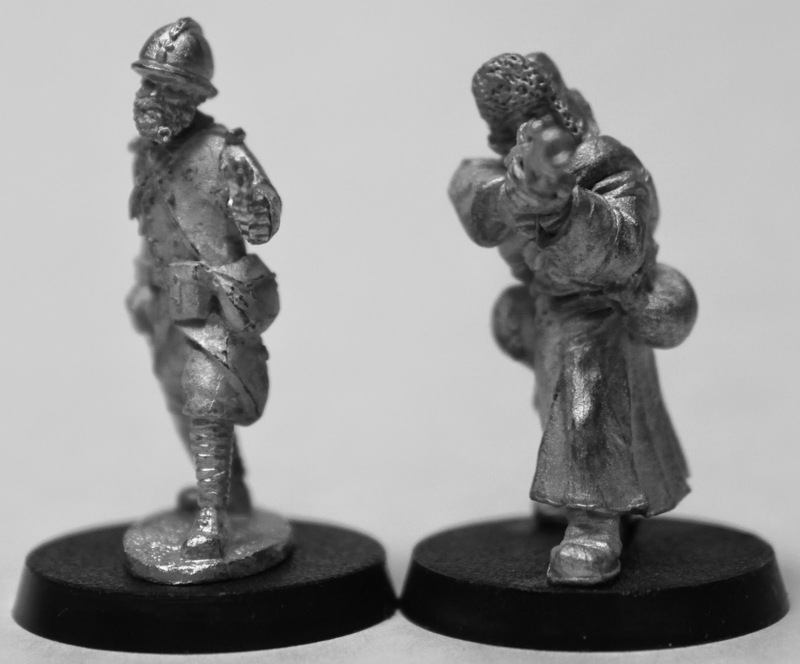 Never one to pass up a free miniature, I hurried over to their website, and sent them a request for a French figure, with the idea that if it was not a range that appealed to me, I might be able to use the figure somewhere else, maybe as a pulp figure, or in 40k (with some additions). As the company is located in France, I did not expect the package to come quickly, and yet I was still surprised to get the packet nearly a month later. I guess not every company can be GZG (plus, again, it was free, so why complain?). You can sort of tell from the pictures, but the figure has a separate head (here glued on), and is fairly tall and slender. It does not really match up with any of the figures I compared it to, but that would not be a problem if you were to use only FG figures. Unfortunately, FG only makes a few French figures currently, but more are in the works. The Great War references that I have are predominantly for the air war (although I did have a single plate of a French soldier in a uniform book), so as usual one must turn to the Internet. Fortunately for the French infantry painter there is Sidney Roundwood's very detailed Late War French painting guide.